Manifold absolute pressure sensor MPX4250AP. 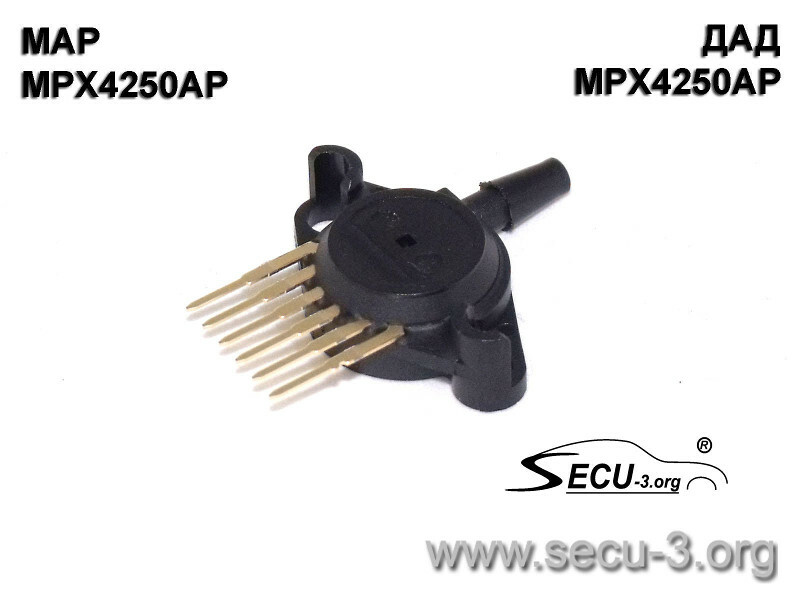 This sensor is installed in the SECU-3T, SECU-3 Lite and SECU-3i units. Working pressure range is 20…250kPa, corresponding output voltage is 0.2…4.9V.